We are pleased to inform about the forthcoming entrance tests for potential Year 1 and Reception Class pupils for the 2018-2019 academic year. 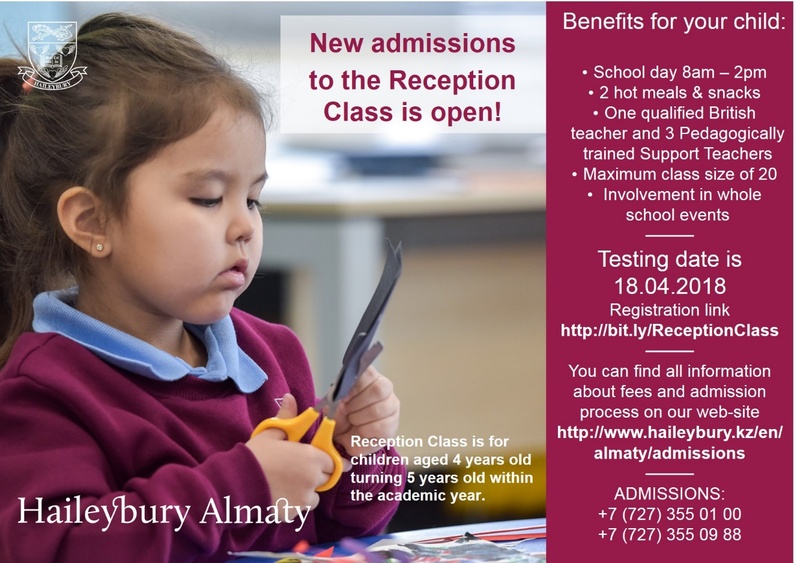 · Reception Class is intended for 4-year-olds, whose birthday is before 31st of August 2018. · For Year 1, we admit children who turn 5 before 31st of August 2018. In accordance with the British system, the school introduces children the idea of formal schooling through the Early Years Foundation Stage Curriculum. This curriculum prioritises the Personal, Social and Emotional Development, Physical Development and Communication and Language, mathematics, natural sciences, art and design. Pupils learn to play, explore, create and think critically through active learning experiences. 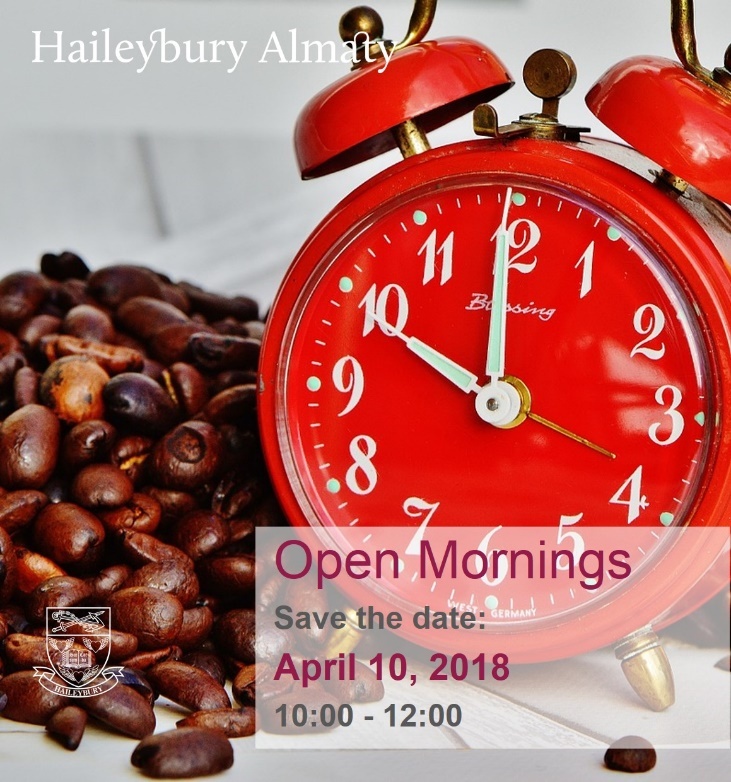 Take this opportunity to visit us and explore Haileybury Almaty where your son or daughter will receive the best education! Discover how we prepare children from the ages of 4 to 18 for future success at world class universities.